Richard James of Savile Row provide a contemporary range fine men's socks in wool and cotton. 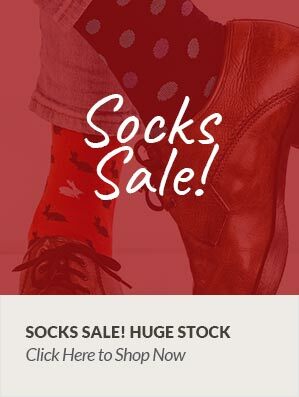 Created using the finest of Egyptian yarns that are knitted into superb quality socks all featuring vibrant colours and eye-catching designs which give you the opportunity to show off your individualism with a touch of class. The Richard James collection shows just how the traditional has been molded to make something entirely different.